Whitney Port is a girl after our own hearts. 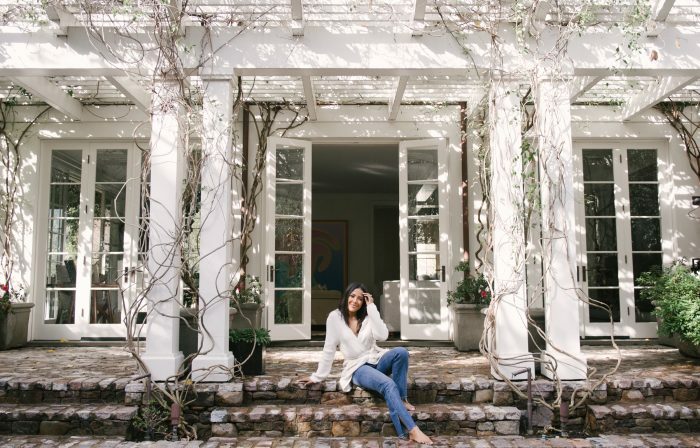 Born and raised in Los Angeles, Whitney’s sunny disposition is the epitome of laid-back, California cool. Despite how put-together she comes off, “effortless” might not be the best descriptor. 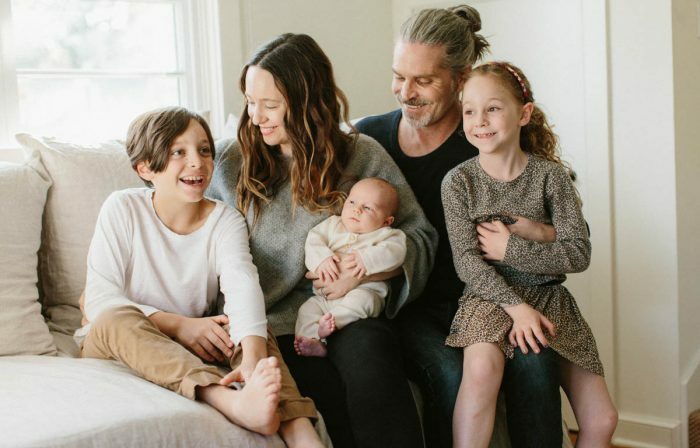 Through her YouTube series and on social media, Whitney has been uniquely outspoken about her difficult pregnancy, revealing, with brave candor, the discomfort, nausea, and feelings of confusion and dissonance through it all. Since giving birth to baby Sonny in July of 2017, Whitney has continued to be open and honest about her experience, proving that there is no such thing as an ideal pregnancy or a perfect mother. Rather, the best we can do is to take things slow, one day at a time. 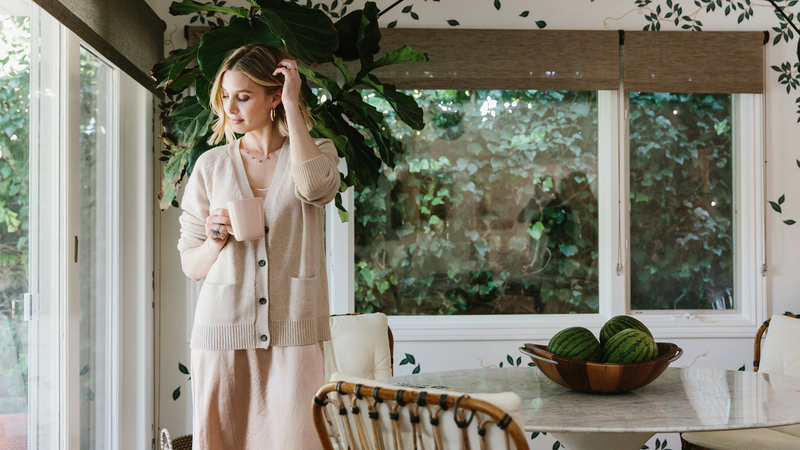 We visited Whitney at her home in Studio City to glean a bit more about her new life as a mom. 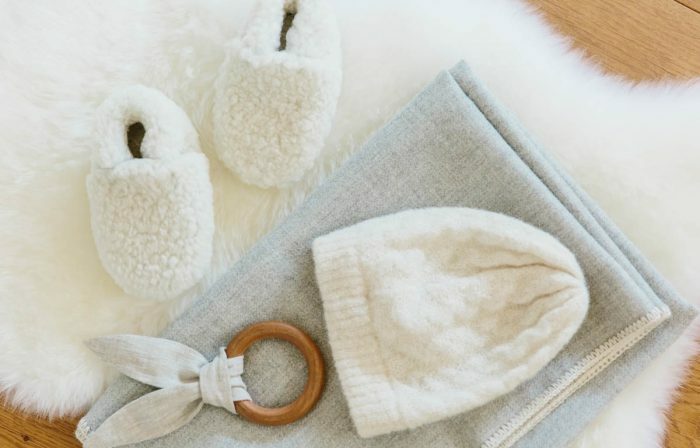 With her signature sweetness, she shared some of her nursery favorites, how her husband shows his support, and her not-so-secret affinity for Ugg boots. Despite how forthcoming she is about defying illusions, when she’s gushing over Sonny, she embodies the stereotype of a new mother: glowing, blissful, and happy. Rip & Tan: You’ve been open about your struggles with pregnancy and breastfeeding through your blog—were you surprised by any of the feedback you got from speaking about the less-than-blissful aspects of the experience? Whitney Port: I was very surprised! I was scared to be vulnerable on my YouTube channel and on social media, because pregnancy always seemed like something that was supposed to be just purely positive. I was afraid people were going to say things like, “you’re so lucky for getting pregnant,” “you shouldn’t be complaining,” or “you need to put things in perspective” …and while I did get a couple of those comments, the majority of the people responding were feeling the same way as I was. It made me feel so comfortable and like I wasn’t alone. That community kept me going as I started my series and as I continue to maintain it. It’s been really amazing to be able to get support and provide support to others. Rip & Tan: What advice would you give to women who are struggling to breastfeed? 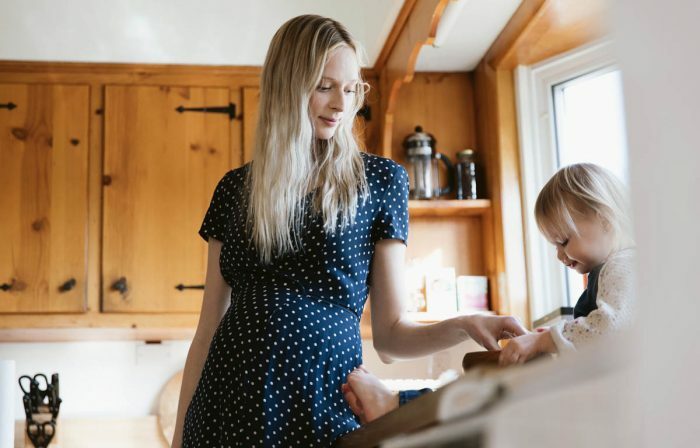 Whitney Port: It’s so hard to look outside of yourself and not be riddled with this self-imposed guilt, but we need to realize that if we aren’t happy, our babies aren’t happy. At the end of the day, that’s the most important thing. 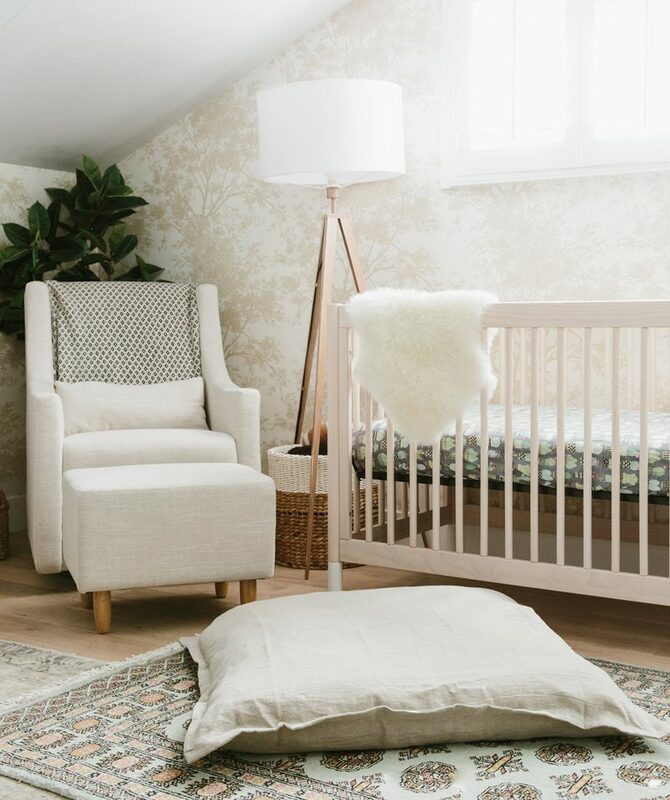 Rip & Tan: What are your newborn nursery must-haves? 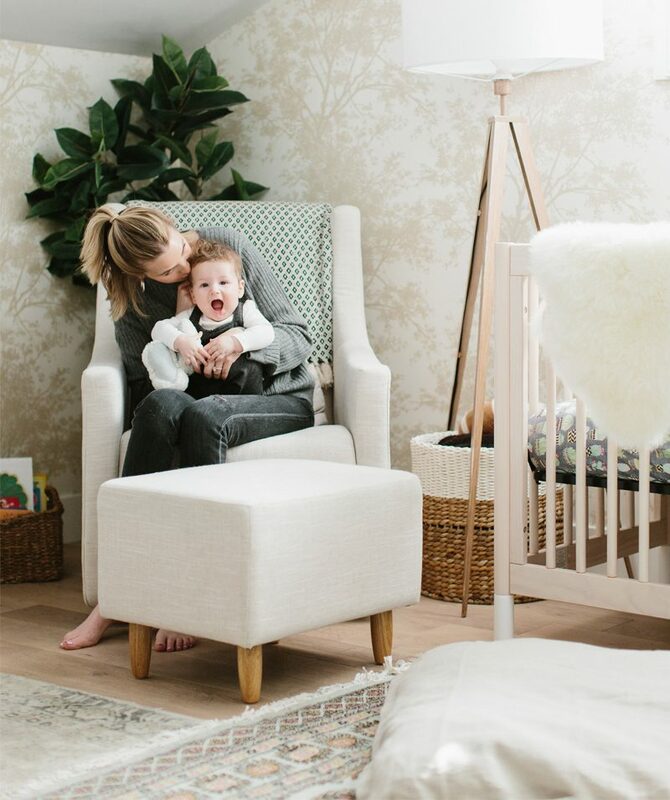 Whitney Port: A comfortable breastfeeding chair. I have a big rocking one I love. After the baby is born, you’ll be sitting in that chair the majority of the time, so it’s important to get one you like. My label maker totally changed my life. When babies are that small, their closet is full of swaddles and blankets and all these tiny things that look super similar, so it helps to have your shelves labeled so you know where everything is. Also, a mobile above the crib gives the baby something to engage with on their own—it’s really important for that solo play. 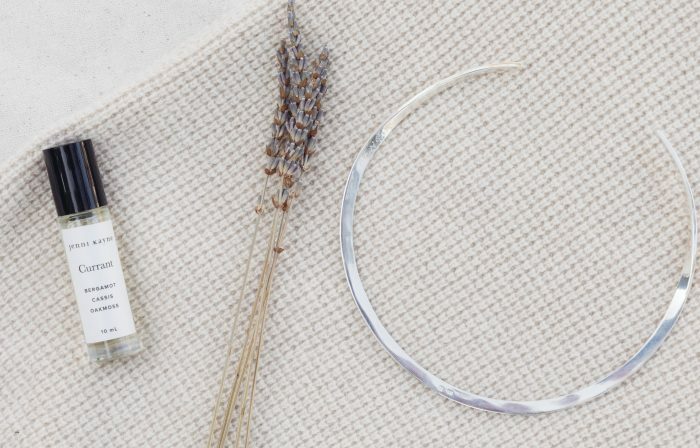 Rip & Tan: Do you have any self-care rituals you incorporate into your daily routines? Whitney Port: It’s so important for moms to take care of themselves to be the best for the children. Something I do to care for myself is to ask for help, because you need that time by yourself. I’ll go on walks by myself, get a massage once a month or once every couple of months, and I have to work out at least twice a week, just so I can feel sane. Rip & Tan: Any tips for traveling with a baby or kids? 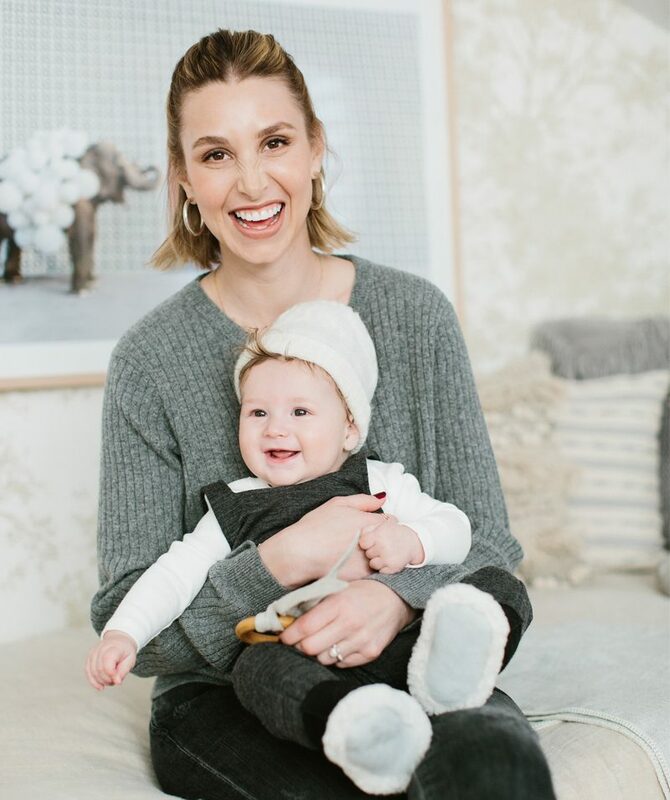 Whitney Port: During take-off and landing, give them a bottle or breastfeed your baby so they’re distracted. Bring a change of clothes for them once you’re off the plane, and a change for yourself, too, because there’s so many germs on an airplane and you want to get that stuff off of them right away. Rip & Tan: How do you and your husband spend time together to reconnect and strengthen your bond? 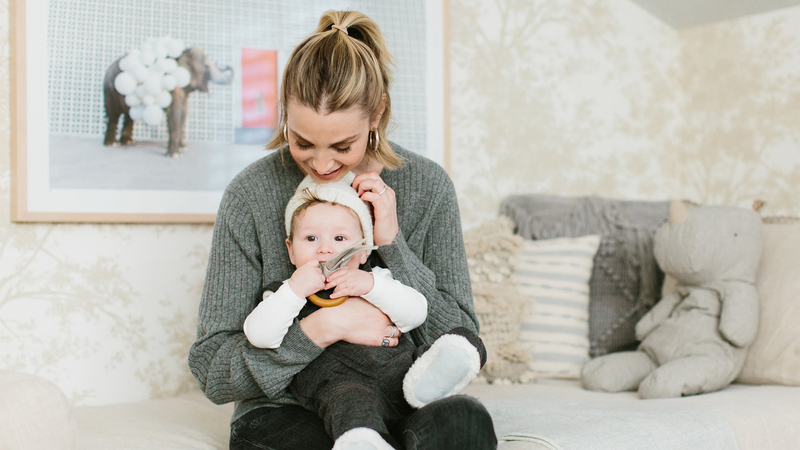 Whitney Port: Lately Sonny’s been going to sleep at 6:30, so we have a lot of time at night to relax, cook, hang out and watch TV. It’s really as simple as that. It’s about making that time when the baby is sleeping to just reconnect. Sometimes it’s nice to shut off your brain and just watch TV together. Other times you want to really connect and talk when you guys aren’t on the same page so you’re not just floating by. Rip & Tan: Who were the most integral parts of your support system through your pregnancy? How did they help to make things easier? Whitney Port: My husband was a huge support. He never said anything like, “tough it out, millions of women have done this, you can too…” he was just in tune with what was going on with me and if I was feeling down or bad about my body he would always validate my feelings, but never made me feel guilty for feeling them. I also had one friend who was on her third pregnancy while I was pregnant. Finding other people that are pregnant at the same time as you are is so helpful because you can vent to each other, not feel guilty, and they really understand what you’re going through. That’s really helpful in getting through it all. Rip & Tan: What are some of your skincare and makeup must-haves? How has your approach to beauty changed since becoming a mom? Whitney Port: I love anything refreshing. I’m tired and run down a lot of the time, so I’m all about constantly misting myself and using products that are cool and soothing. The vitamin C hydrating serum by Image is so great. It smells really good and fresh, like oranges. Every morning and night I use Embryolisse moisturizer. I love the Peter Thomas Roth cucumber gel masks—I keep them in the fridge and it feels so good in the morning. I always carry a facial mist and spritz it throughout the day. My favorite is the Rose Hibiscus Hydrating Face Mist by Herbivore. 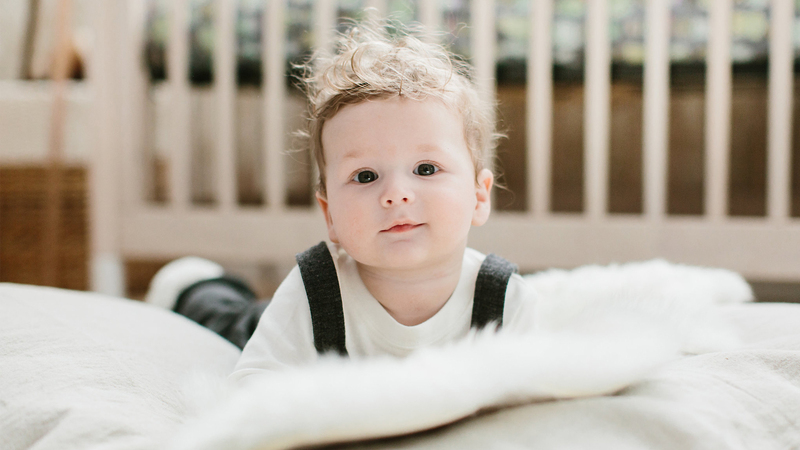 "It's so hard to look outside of yourself and not be riddled with this self-imposed guilt, but we need to realize that if we aren't happy, our babies aren't happy. At the end of the day, that's the most important thing." "I love slip dresses with sweaters or jackets over them. I feel like that is just very me—elevating the pajama look is my favorite thing." Rip & Tan: Tell us about your new position as co-founder and creative director at Bloom2Bloom & Bundle! What do you love most about your latest venture? Whitney Port: I love flowers and fresh juice—who doesn’t! It’s been so fun to learn about the flower and juice businesses. I have loved learning how to design bouquets to make your house looking like a home and helping Bundle serve delicious and nutritious pasteurized juices to pregnant and nursing women. 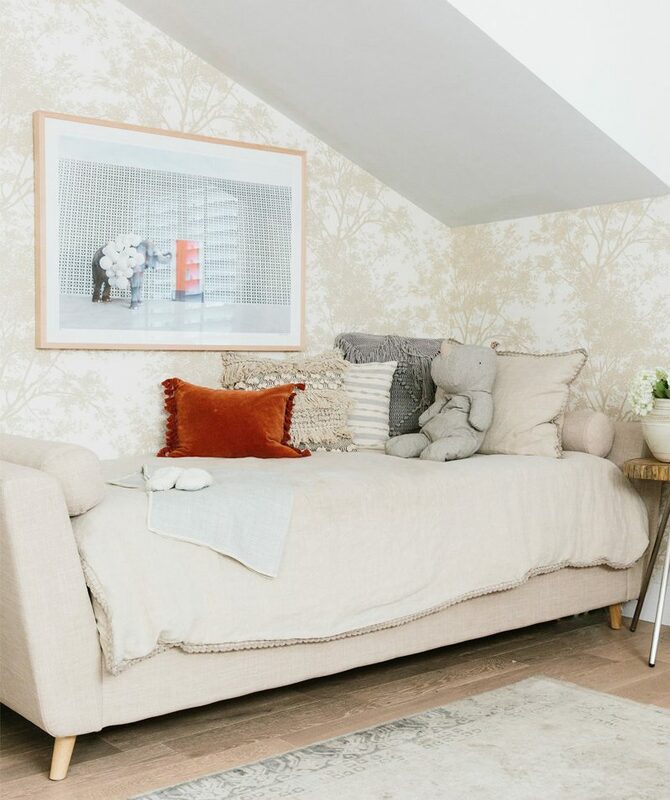 With Bloom2Bloom, the best part about it is that every bouquet gives back to charity Wish Upon a Teen, a non-profit organization that redecorates teenagers’ hospital rooms so it feels more like home while they’re undergoing treatment. It’s really great to be able to have a creative outlet that helps people at the same time. Whitney Port: The other day I had a big meeting and I wanted to look cute, but I didn’t have a lot of time, so I threw on a T-shirt, my leather moto jacket, skinny jeans and some boots. That’s a fail-safe look. Rip & Tan: Do you have any maternity staples or favorite brands? Whitney Port: Beyond the Bump by Beyond Yoga makes the best workout clothes for pregnant women. Mostly I was going to Free People and just getting loose, oversized dresses. I tried not to buy too many maternity clothes so I could wear them afterwards, but then again, once you wear them while you’re pregnant, you kind of never want to wear them again. Rip & Tan: Do you have a favorite item or outfit that makes you feel the most like yourself? Whitney Port: I love slip dresses with sweaters or jackets over them. I feel like that is just very me—elevating the pajama look is my favorite thing. I also like matching with two-piece outfits. I like things that are easy to wear so I don’t have to think about styling so much. Rip & Tan: Are there any trends you used to follow that you would never try now? 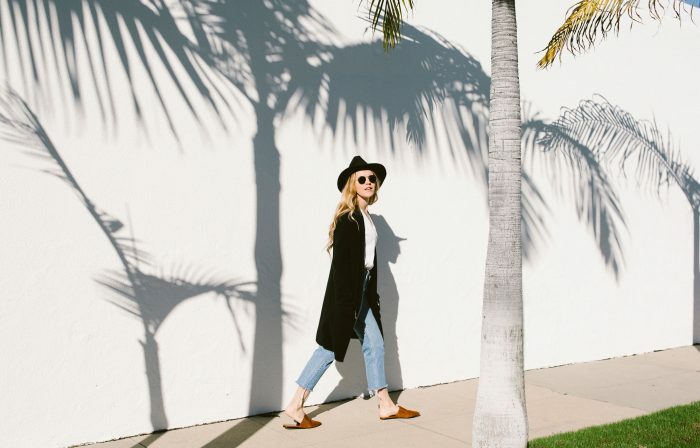 Whitney Port: I wish I could say I don’t wear Uggs anymore…but I definitely still do. I feel like every trend comes back around, except for rhinestone denim. Whitney Port: I like someone who takes a little bit of risk, someone who dresses up, but with an edge. I love Alexa Chung. She dresses really ladylike on top but always has an interesting shoe, or a sock with a heel—I like that she mixes the feminine with the masculine. Also Kate Boswroth, because she’s such a style chameleon, she can get away with pulling off so many different looks. 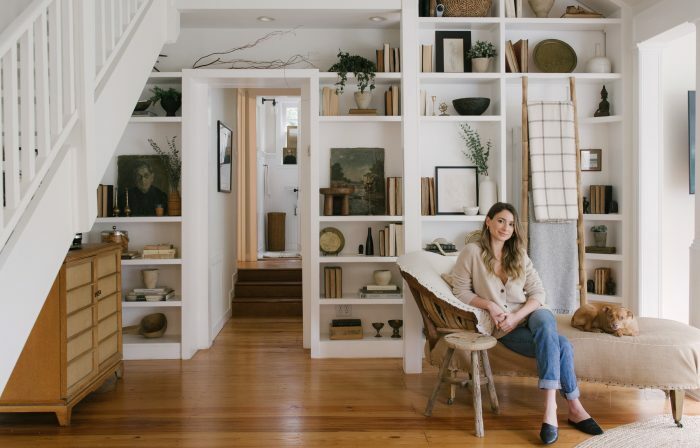 She mixes colors and textures so well and gets proportions right every time—I think that’s really important to looking polished and put-together. Rip & Tan: Is there a difference between style and fashion? What do these words mean to you? Whitney Port: Yes! Style is something ingrained in us…it can be good or bad, or neither! Style is a reflection of your personal aesthetic. Fashion is just the stuff we consume, the stuff we purchase. Rip & Tan: How has your personal style evolved since becoming a mother? 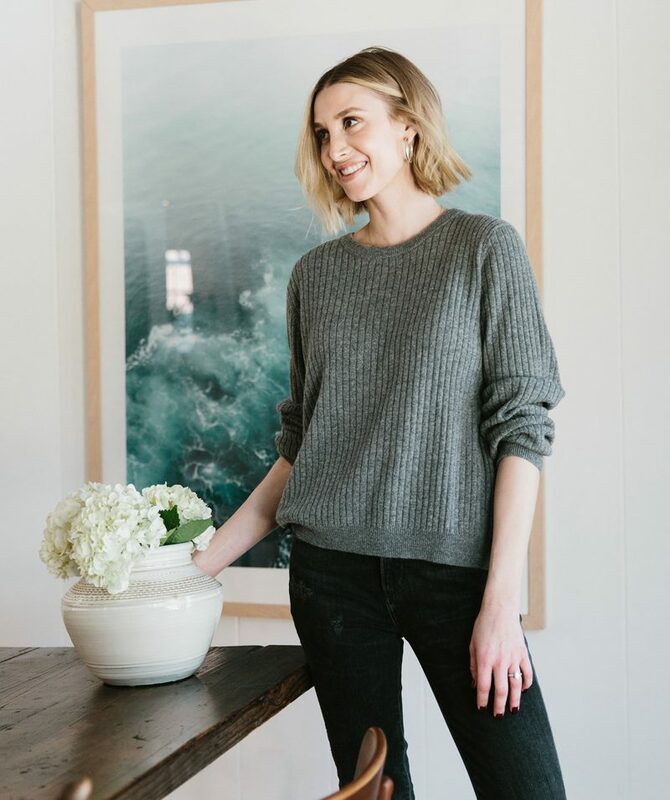 Whitney Port: Comfort has always been a priority for me. I grew up in Los Angeles, and when I was a teenager I was wearing Juicy Couture sweat suits and Uggs. Honestly, I feel like I’m still wearing those things! I love soft, comfortable fabrics. That’s something I notice at Jenni Kayne—she feels the same way. While she’s not wearing Uggs and Juicy sweats, it’s all about feeling comfortable.